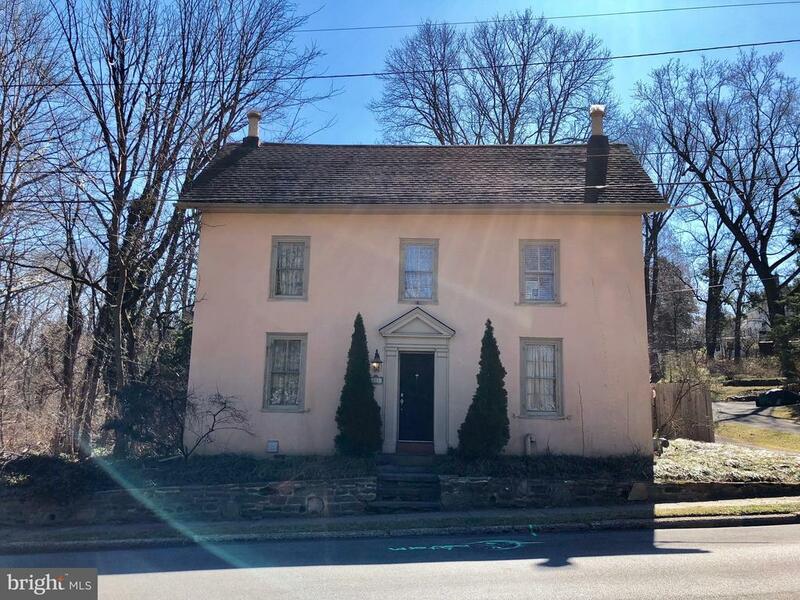 All Wyncote homes currently listed for sale in Wyncote as of 04/21/2019 are shown below. You can change the search criteria at any time by pressing the 'Change Search' button below. If you have any questions or you would like more information about any Wyncote homes for sale or other Wyncote real estate, please contact us and one of our knowledgeable Wyncote REALTORS® would be pleased to assist you. 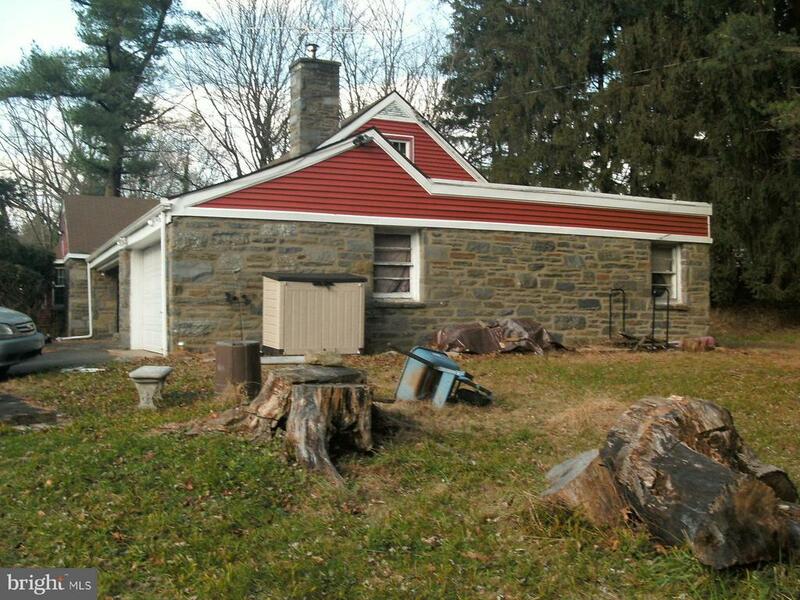 "Fabulous Custom Built 17 Year Young Home in Wyncote- what a rare find! Enter the Dramatic Two Story Foyer of this 5500 Square Foot Hoffman Built Colonial, and you will recognize the superior building materials and appointments throughout- making it a standout property!! The Elegant Formal Living Room and Dining Rooms both with bay windows, gleaming Hardwood Flooring, Crown Moldings & Wainscoting that also run throughout the hallways and Foyer. Spacious Cook's Kitchen with Island Seating has an abundance of Cabinet Space, Built-in Desk Area, 5 Burner Gas Cooktop, Double Sinks, Wall Oven & Microwave/Convection Oven. The kitchen opens to the Breakfast Room (with an Outside Exit to the deck) and the dramatic pillared entry to the Fireside Family Room. Completing the First floor is a Den/Office, Laundry Room, Powder Rm. and entry to the 3 Car Garage. The Second Floor Features an amazing Master Bedroom Suite with tray ceiling, Sitting Room with mulitple extra large closets and a Luxurious Master Bath. Two additional bedrooms with a Jack & Jill Bath, a Princess Suite with a private bath- all have California Closets, Ceilings fans, new neutral carpet and paint. The basement is finished into 2 large living spaces and a Beautiful Full tile Bath. Some additional features include: Pella Windows, Custom Closets, Plantation Shutters, and a Beautiful Inground Sylvan Pool and Patio Area with a Built-in Papillon Shade. This house is MOVE-IN READY!! Sellers have had the Stucco Tested and Remediated!!" "Located in Historic Olde Wyncote, this beautifully restored home gracefully combines modern amenities with architectural details of the late 1800~s, including a mahogany front porch, original wood flooring, high ceilings & deep windowsills. As you enter the foyer, an impressive three-story floating staircase leads upward. Ahead is a grand traditional living room and formal dining room, each with a fireplace. The recently renovated eat-in kitchen has upgraded countertops, tile backsplash, & stainless steel appliances. Adjacent is a Butler~s Pantry which includes washer & dryer, as well as original built-in wood/glass cabinetry. The kitchen opens into a sun-drenched family room with a wall of windows spanning the backyard. A rear staircase leads from the kitchen to the second floor which has two bedrooms and a Master Suite with bathroom, large walk-in closet and a private outdoor deck. A second floor screened porch has been converted into an artist studio which has a sink counter, built-in storage and operational windows on three sides. The third floor offers two additional large bedrooms and an office. 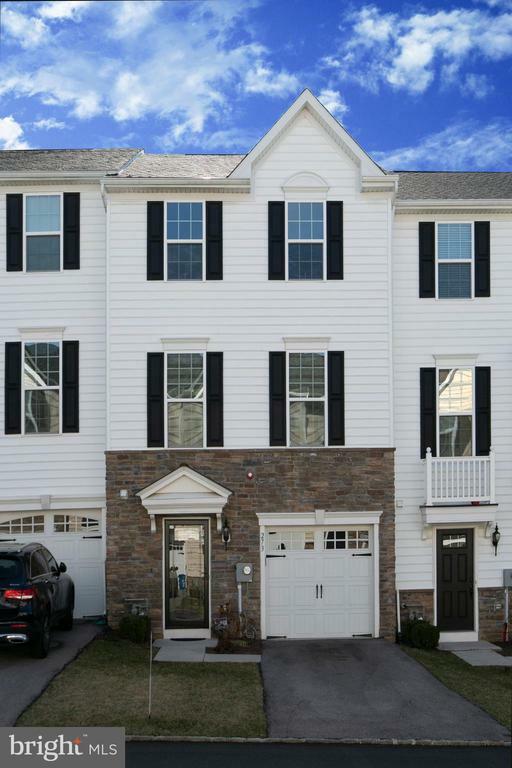 There is ample closet space throughout, including a large linen closet.The house is located minutes from Rt 309 and the PA Turnpike, and an easy walk to the Jenkintown Train Station, Cheltenham High School, and newly renovated Cedarbrook Middle and Wyncote Elementary Schools. Other local neighborhood features are Curtis Arboretum, Thomas William~s Park, Glenside Pool, Keswick Theatre, Highway Theatre, and the shops, restaurants & brew pubs of Glenside and Jenkintown." "This unique custom built home, is situated on a private, beautiful large lot far from the street. This splendidly designed home with an open concept layout was way a head of its time. The home feature an amazing open layout with large windows, sliding glass doors and skylight that allows for wonderful light and picturesque views from all angels. Spacious living room with parquet floor, gas fireplace and recessed lights leads to a large formal dining room with tray ceiling and built-in wall unit. The formal space flow with ease into the open family room, eat-in area and enormous kitchen. The family/great room features a wood burning stove, sliding glass doors to patio, Terracotta tile floors and large skylight dome. The oversize kitchen feature ample amount of granite counters including a center island with cook-top and amazing number of cabinets. There is a built-in wall microwave and oven. The upper level consist of master bedroom with dressing area and an updated bathroom, 3 additional bedrooms and an updated hall bath. The lower level has a large playroom with sliding glass doors and laundry area. A unique feature of this property is a separate small apartment with a full bath and kitchenette that is perfect as a guest or Au-Pair suite. A beautiful brick patio affords great out-door space for entertaining and enjoyment of the park-like setting. A two car garage and a partial basement allow for great storage and a wide area of the driveway can be used for additional parking." "This intriguing carriage house with it's stone structure situated down a long, shared driveway next to it's neighboring estate house, circa 1908. 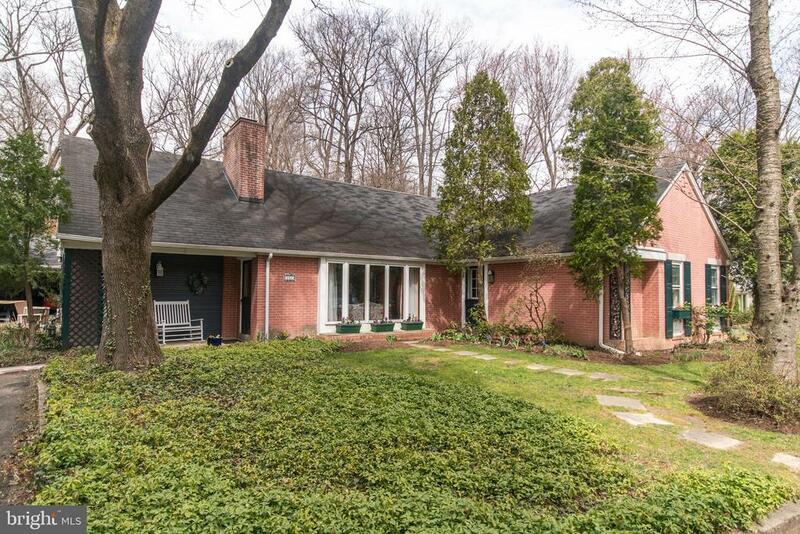 Located on .71 of an acre on prestigious Bent Road in historic Wyncote, this home offers high ceilings and large windows for lots of light and warmth. Opening the front door the home presents a wide-open space warm and inviting with a wood-burning stove. The Living and dining area flow together creating lovely space for the perfect T. The Large classic traditional Kitchen also flows into the dining area making it great for entertaining. On the first level you'll find two bedrooms and two full baths plus a laundry and storage room. The open staircase leads to the large gathering room with fireplace, and entertainment area with bar and granite counter top. The sliding glass doors leads to a balcony overlooking the back yard. The large master bedroom and bath are on the second level as well. Exiting the back door the Large, multi-leveled deck offers lots of outdoor entertainment space. The property is close to Jenkintown Train Station for quick access into the City, lots of shopping and walkable to lovely Cheltenham parks. This property can also be used as investment property as it is presently in rented for $2600 per month." "Seller highly motivated and can provide immediate occupancy! Architectural history buffs take notice! This rare midcentury gem, dubbed the butterfly house due to the distinctive roof line, was designed by Czechoslovakian born architect Allan Berkowitz, in 1956. Berkowitz was a disciple of Le Corbusier, the pioneering French modernist, and designed several churches, schools and libraries - yet only 10 homes in the area. This lovely home offers over 3,000 sq ft of living space over 3 levels, and offers many details of original midcentury design. This expansive home is set back from the street with a long, dual entry driveway on a large private lot. Entrance foyer with large natural slate tile floor opens into enormous living room with original floor to ceiling windows along one wall. The exterior stone is carried through to the interior to create a feature wall along the foyer, above the stairway, and in the breakfast room. Living room and separate dining room feature original, nearly mint condition wood paneling and floor to ceiling windows. The inviting open floor plan allows flow between living room, formal dining room, kitchen, and breakfast room. Directly adjacent to kitchen is the laundry room with expansive floor to ceiling wall closet storage, laundry sink, and modern washer and dryer. Kitchen and laundry room both open to the large paved concrete patio, perfect for barbecues and outdoor relaxation. Upstairs find 4 bedrooms - a master suite with two large closets and ensuite bath with shower and double vanity. On the opposite side of the house is another large bedroom, also with two closets and bath with original striking striped tile design in soft blues. There are two other nice sized bedrooms, featuring enormous windows overlooking the .8 acre tree filled yard. Hall bath has updated vanity yet still has the original distinctive bronze and tan original tiles in excellent condition. 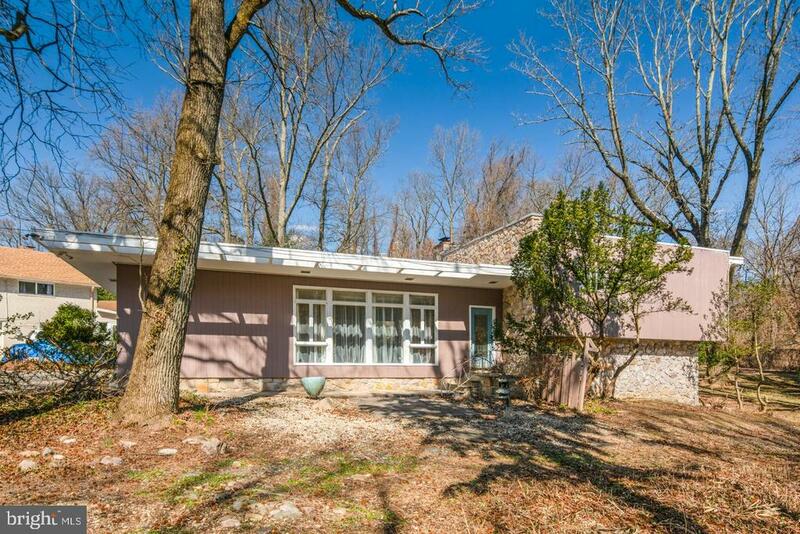 The lower level is an enormous space with gas fireplace, larg"
"Nestled on a nature lover~s leafy setting, this tastefully decorated mid-century modern home is an inviting charmer. 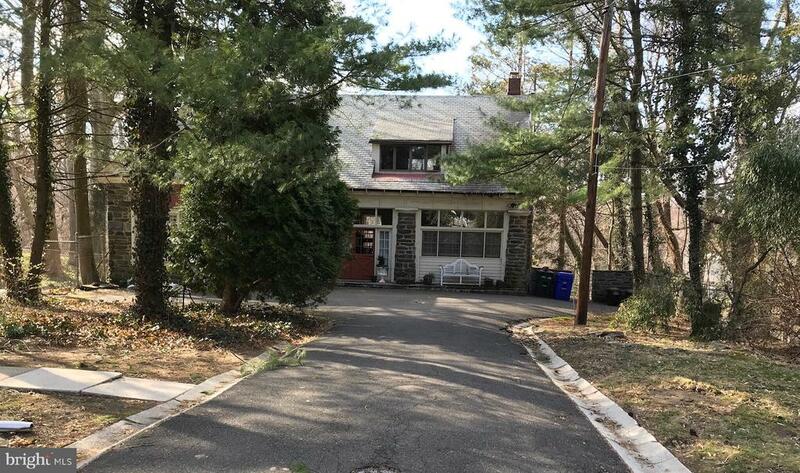 Located in the tranquil sought-after neighborhood of Old Wyncote, this property is set well back from the street and offers a semi-circular driveway with extensive parking. Gatherings with friends and family are effortless with the abundant extra space.Enter a large, inviting room boasting a brick fireplace with an adjoining bookshelf. The spacious, open floor-plan with gleaming hardwood floors makes this home ideal for entertaining and comfortable for everyday living. The formal dining room is perfect for hosting social events and family dinners. Stained glass French doors open to a sizable family room with an additional wood-burning fireplace. Floor-to-ceiling windows look out over an enormous, secluded, park-like backyard. Another set of French doors opens to reveal a panoramic view, including a paved patio surrounded by a perennial garden bed. Replacement windows throughout provide natural light in every room.The cook~s kitchen, with random-width hardwood floors, gas cooking, a deep stainless steel sink and Corian counters will enable you to whip up delicious meals for any group, large or small. The sunny laundry room with plenty of shelving is conveniently located adjacent to the kitchen.The first floor features three bedrooms, two full baths and a powder room. If stairs are an issue, this home may be just what you~re looking for. Located on this floor, the master suite includes a marble bathroom with a steam shower. A large additional bedroom is currently used as a home office. It features a vaulted ceiling and ample closet space. A Jack-and- Jill bathroom connects this room to an additional bedroom. This first-floor plan offers great opportunities for an in-law or caregiver suite. A convenient powder room completes the first floor. The upper floor includes a fourth bedroom and a tiled bath with combination shower and tub. An additional room pro"
"Situated on over an Acre of Land, with an amazing fireplace ready to warm your soul, the potential of this home is virtually unlimited. There are 4 great sized bedrooms, two of them have their own private bathrooms! Many upgrades have been made, a new gas heater, newer wiring, and other significant improvements have been made. You will need to bring your vision and your flashlight, best to see during the daylight hours for a full view of this amazing home. Cash or 203k are the best options to purchase this home. Finish it your way!" "Amazing home! This gated community, the Reserve at Wyngate is proud to offer this Mozart floor plan, which has been meticulously maintained by the owner and contains every bell and whistle. 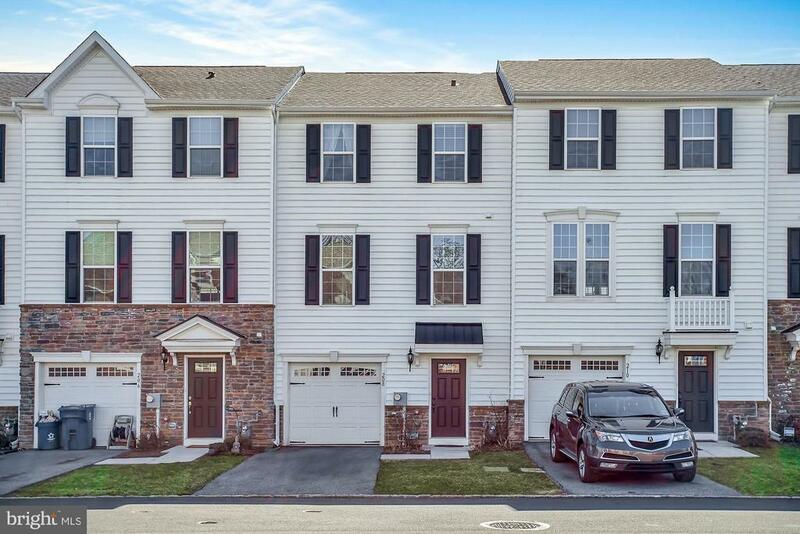 This 3 bedroom, 2.5 bath, 1 car garage townhome is what today's Buyers want: open floor plan, hardwoods throughout, stainless steel appliances, granite counters, 42 cabinets, and one of the best home sites in the community backing to open space. All appliances are included with home, stainless steel refrigerator and washer/dryer. The lower level is finished with sliders out back to a beautiful newly done patio. Stroll upstairs to the main living level which is completely open. A country kitchen, generous sized pantry closet in kitchen, and the perfect space for entertaining or everyday living. Located off the eat in kitchen area are sliding doors leading to a large composite deck backing to open space. Get ready for your next barbeque or simply enjoying time with family and friends. Upstairs are 3 spacious bedrooms with great closet space and upgraded carpets and tile. The master bedroom contains a large walk in closet, upgraded bathroom with custom tile, Big 5 foot wide shower with dual heads and dual vanities. Also includes built in Legrand surround sound system that allows you to play music from your phone all throughout the house, Wifi booster, Guardian security system, Sprinkler system, CO2 detector and is truly move in ready! 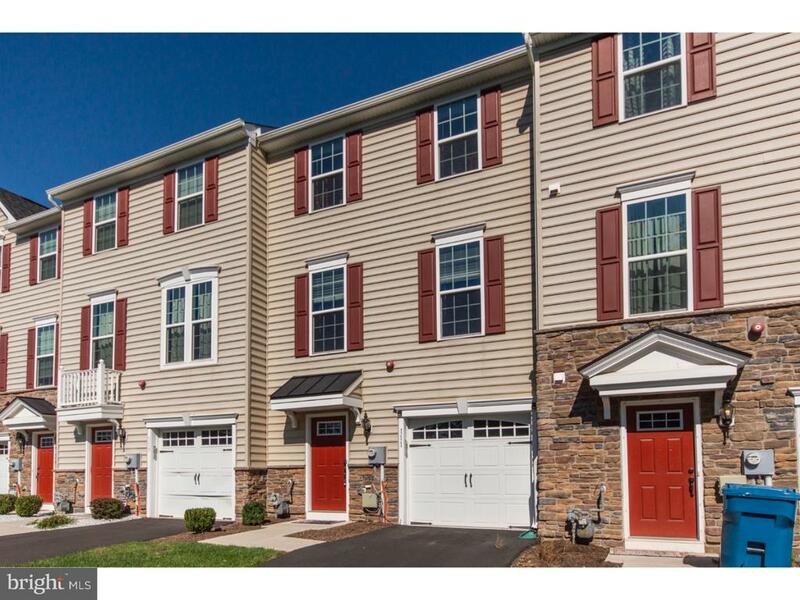 The Reserve at Wyngate is conveniently located to Routes 309, 611, PA Turnpike and great access to train stations or Center City Philadelphia. Within walking distance to restaurants, shopping and the mall. There's also a new community center that is being built and will be completed in March of 2019! Schedule a visit today and make The Reserve at Wyngate your next place to call home! *No showings until after Open House (hosted on March 10th from 1pm-3pm with food & drinks)." 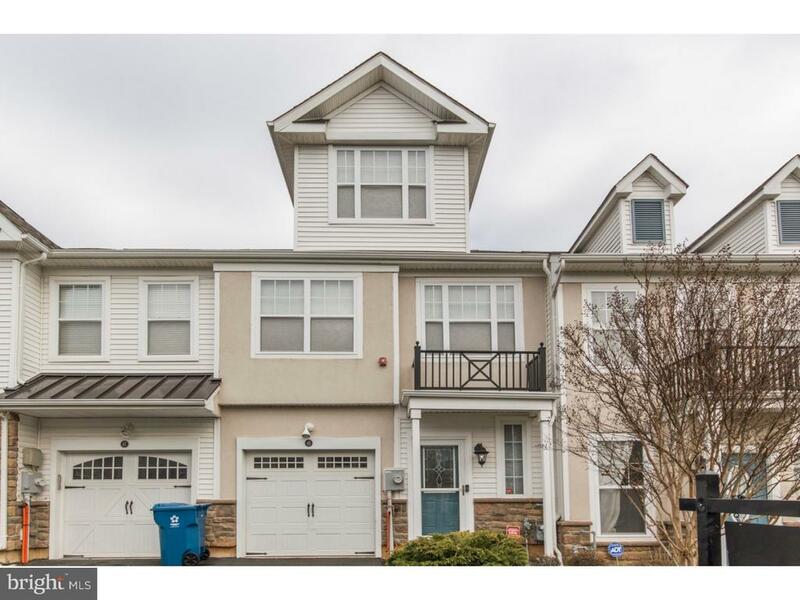 "Welcome to this beautiful townhome in Cheltenham Township. Located in the gated community of the The Reserves at Wyngate. This elegant home home is under 5 years old. Offers three large levels of living space with 3/4 bedrooms and 3.1 baths. Enter the lower level with foyer entrance,coat closet & entrance to garage. There is a bonus room that can be used as an additional bedroom with full bath and walk-in closet, could also be used office, playroom, gym, etc. Main level offers a large open concept with formal living room that has with lots of space for entertaining & surround sound included, convenient powder room, dining area and huge kitchen with island and breakfast bar. Exit dining area with sliders to a composite deck ( Largest in the community) overlooking the yard with a beautiful view of open space and walking trail. Perfect for relaxing on a summer evening. The upper level has a large master suite that includes a huge walk in closet and private bathroom with double sinks. There are two additional bedrooms on this level with a hall bath and laundry area. Come and see for yourself this beautiful home that is situated in a perfect location, close to shopping, dining, Cheltenham Schools, beautiful parks and trails. 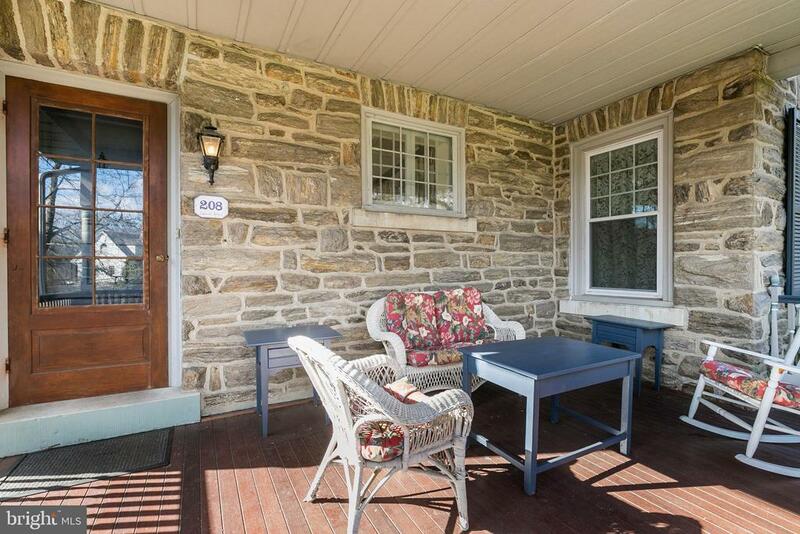 Easy access to major highways, 309 & turnpike with an easy commute to Center City Philadelphia. BONUS : Seller willing to contribute to buyers closing cost." "Take advantage of all of the amenities of townhome living with the size and feel of a single-family home! This beautiful home is located in the gated Wyngate community, highly sought after for it's peaceful, park-like feel, serene views, security and convenient location. Both modern and stylish, this open concept home boasts plenty of storage and loads of natural light. Enter into the inviting foyer with conveniently located powder room, coat closet and inside garage access. The large, serene Family Room has lush carpeting and a slider to the open space courtyard. The main level is airy and spacious with gleaming hardwood floors, a sizable living room and chef's kitchen with island, breakfast bar and pantry. The dining room is perfect for entertaining with its proximity to the oversized deck. The upstairs consists of three bedrooms, large hall bath and neutral carpeting and laundry facilities. The master bedroom has a large walk-in closet and private en-suite bathroom with glass-enclosed shower. Simply unpack and enjoy! Special features include custom ceiling speakers, trex decking, security system, custom window treatments and American Home Shield Warranty for the appliances. Easy access to local shopping, dining and entertainment. 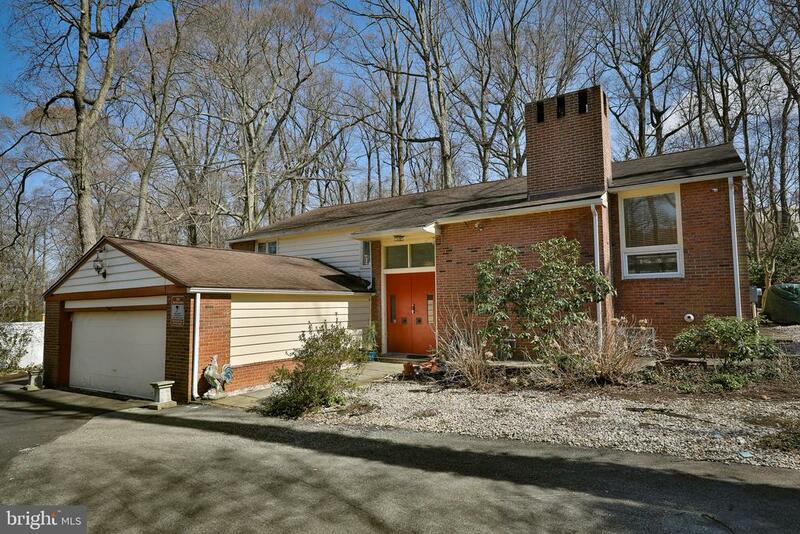 Just a short drive to parks, walking trails, pools, libraries and Cheltenham Township schools. Close to major highways and the turnpike, which makes for an easy commute to both center city Philadelphia as well as NYC." "Very well maintained and freshly painted home in the private Wyngate Community, that features natural light, an open living concept with three bedrooms, master bathroom, hall bathroom and a powder room on the main floor. 2-car parking (1-car garage and 1-car driveway) plus parking lot. The first floor has an ample sized family room with flat screen TV (included) with sliding glass doors that open to rear open space and trees. 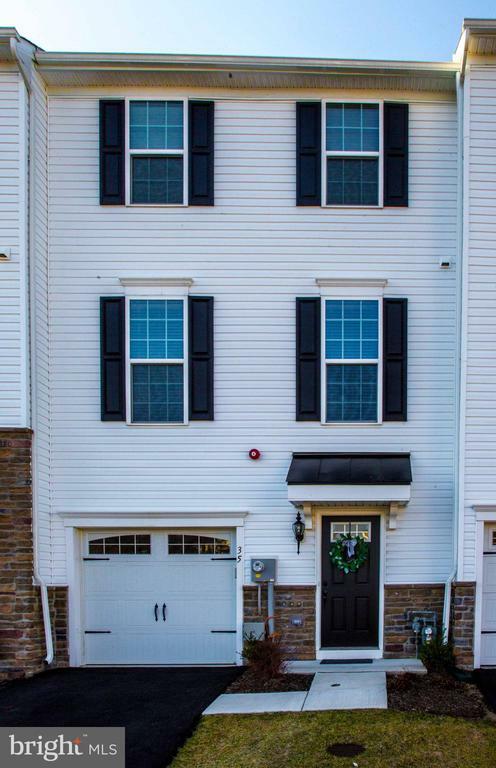 The bright and open second floor offers 9'0+ ceilings, upgraded hardwood floors,large eat-in kitchen with stainless steel appliances and granite counter tops. Kitchen sliding glass doors open to new composite deck over looking open space and trees. Large bright open living room with flat screen TV (included) and powder room finish off the second (main floor). The third floor features two comfortable size bedrooms, a full bath off the hallway, large master bedroom with walk in closet, master bath suite with stall shower tile surround.Great location! 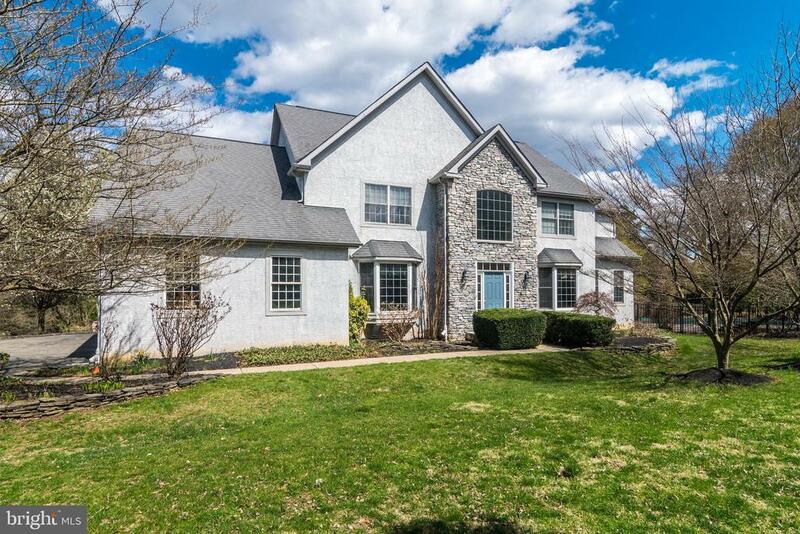 Less then one mile from The Fresh Grocer of Wyncote and just a few miles from the Warminster and Lansdale/Doylestown rail lines and Curtis Hall Arboretum." "Welcome to 251 MacDonald Avenue, a beautiful townhouse in the gated community of Wyngate! This beautiful Strauss model features an open & exciting floor plan featuring hardwood floors and natural light that floods the rooms, offering a very bright and airy feel. The gorgeous Eat-In Kitchen is enhanced by a 6ft bump- out upgrade to allow for both a huge granite island with seating - plus a large eating area. This amazing Kitchen has built in stainless steel appliances, gas cooking, recessed lighting, large pantry closet, and a magnificent view of the back deck and huge backyard. You will love eating breakfast or dinner al fresco on the spacious deck with pretty views. The open concept allows the Living Room, Dining Room and Kitchen to be a wonderful space for entertaining!! The second level of the home has a large Master Bedroom with a walk in closet and an ensuite Bathroom with large bathtub, glass shower and a pretty double sink vanity. The Second and Third Bedrooms have large windows and ample closet space. Completing the second level is a second Full Bathroom with shower/tub combo, and a Laundry Room. The Lowest Level of the home is the entry level and it features a nice sized entry foyer with pretty tiled floors, inside access from the garage, a Powder Room and a large unfinished basement complete with lots of storage space and walk out to the backyard. The Wyngate community offers vast open common areas and walking paths for your pleasure. Only 5 years new, and neutrally decorated, everything is waiting for you to move right in!! Located within minutes of Route 309, the PA Turnpike, and public transportation as well as easy access to downtown Philadelphia. MAKE YOUR APPT TODAY!!" "The sellers are offering to pay the HOA fees for the first year!! Nowadays, everyone wants the newest shiny thing, but no one has the time to wait for it. 111 Old Cedarbrook Road offers you the rare opportunity to own something that is as good as new, without the long wait. Just two years 2, this sleek and stylish townhome has upgrades galore, tons of room, and an amazing location. Gorgeous dark oak hardwood floors, a gourmet kitchen with stainless steel appliances, granite counters, and a huge center island, upgraded bathrooms, and a finished, walk-out basement with propane fireplace await you. Combine all that with the integrated energy-efficient features in this home (such as a programmable Nest Thermostat, video monitoring and smart lightbulbs that can be controlled with a touch of your smartphone), making for easy living. 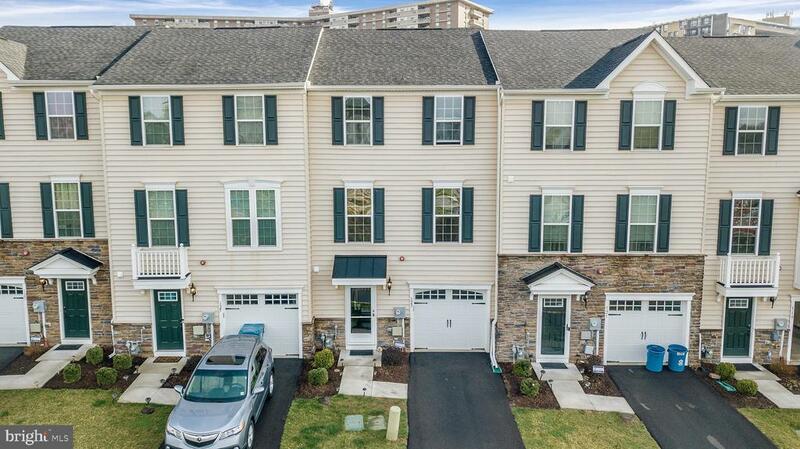 All of this is nestled in the heart of Wyncote, where you'll have easy access to shopping and schools, as well as an easy commute on Rt 309 or the turnpike; or hop on regional rail to be in the city in no time at all. Sounds too good to be true, right? Schedule your showing of 111 Old Cedarbrook Road today, we think you'll be pleasantly surprised." "Welcome home to this stunning 3 Bedroom, 2.5 Bathroom located in the gated community of Wyngate TownHomes. This home is the Curtis Select model and has been meticulously maintained. Enter the home and enjoy gorgeous new Hardwood Flooring, neutral paint and an abundance of natural light throughout. The home offers an Open Concept Living and Dining room which leads to a fabulous Sunroom/Playroom. Off the Sunroom, you will find a quiet and quaint Backyard Patio for all your entertaining needs. The gorgeous Kitchen includes ample cabinet and counter space and a center island. Head upstairs to the Second Floor where you will find 2 spacious Bedrooms, a Laundry Room and a Hallway Bathroom. The Master Bedroom includes an Ensuite Bathroom with a Shower Stall and a walk-in closet. Not enough? Then continue up to the Third Floor where you will find a spacious Loft with incredible closet space for additional storage. The attached 1-car garage and driveway finish off this home nicely. The home is located just minutes from the 309, 476, PA Turnpike, public transportation, parks, restaurants and shopping. Upgrades include; New Carpet-Second and Third Floor-December 2016, New Wood Flooring on 1st floor -December 2016, Home Professionally Painted (including Ceilings)-December 2016, Levolor Cellular Shades Professionally Installed-November 2008, New Outdoor Garage Spicket Installed- January 2017, All Weather Storm Door Installed-March 2017, Master Bedroom Closet Redesigned October 2016 (doubled capacity! ), New Hot Water Heater Expansion Tank-September 2016. Visit today and make this home yours." "Come visit 46 Old Cedarbrook Road located in a gated community and the next words you will be saying, it's good to be home! This captivating end-unit townhome contains three bedrooms, two and a half bathrooms that will initially greet you with a lovely landscaped walkway to the front door. Entering the home will lead you to an expansive living room that extends into additional flex space with an abundance of natural light. Joining this open layout on the main floor is a half bathroom, kitchen with stainless steel appliances, and a comfortable spot to begin your day with breakfast or to wind down with a late snack. Either way, you will appreciate the bedrooms located on the second floor. The master bedroom is accompanied with a separate full master bathroom for your personal hygiene needs. The rest of the members/guests of the home will have full access to a bathroom in the hallway as they exit one of the other two bedrooms. If you need an additional area for studying, working, or relaxing away from the activities on the first floor, make your way to the third floor for the finished loft. Currently used as a fourth bedroom but the possibilities are endless. 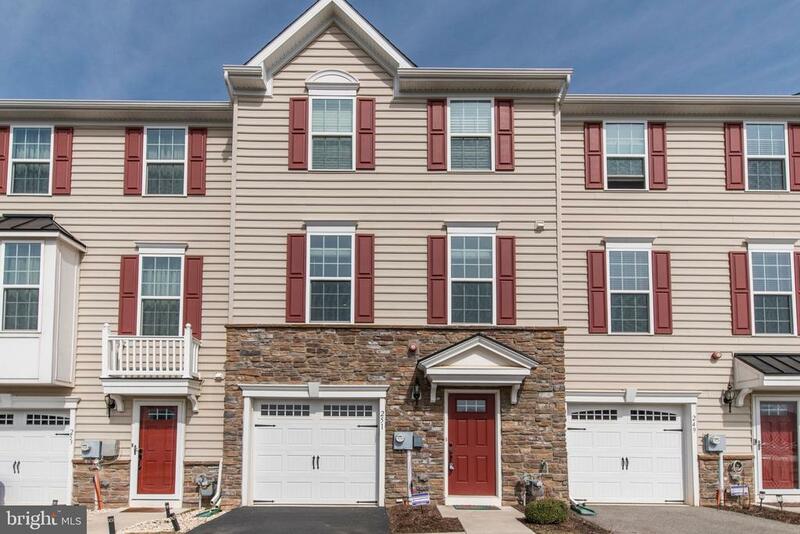 This community is situated just minutes away from your shopping needs, Arcadia University, and route 309, which makes it a perfect location and easy access. Live worry free with a 13-month home warranty that is anything but basic. Schedule your appointment today!" 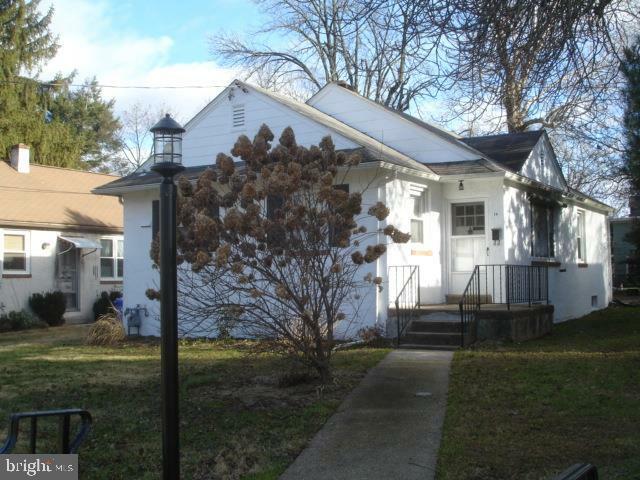 "Welcome to this Charming three bedroom one & a half bath Colonial located in Wyncote.Though in need of updating, this home has a lot to offer. It just needs your vision & imagination to see it'spotential. Seller is not making any repairs ....HOME SOLD AS IS....Inspections are welcome but for informational purposes only. Close to restaurants, shops, schools and transportation. Easy commute to anywhere. This home is yearning for it's new owner. MAKE THAT OWNER YOU! Schedule your appointment today!" "One floor living at its best. Marble entranceway to Living Room, Dining Area, Updated Kitchen with granite countertops. Stainless steel refrigerator self cleaning gas stove, dishwasher, built in microwave, garbage disposal, tile floor. Basement is partialy finished. There is also a workshop area and laundry area. Newer roof, central air, replacement double glazed windows. Off street parking. Area behind property and on other side of driveway is included. 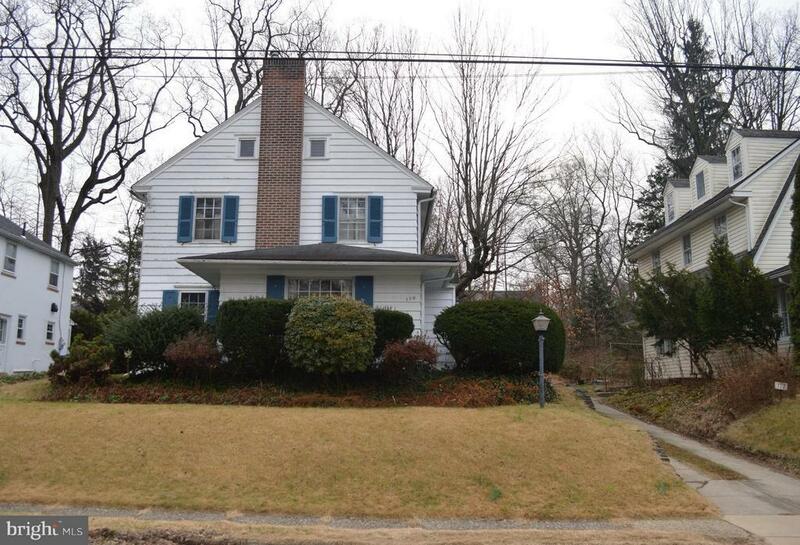 Near parks (Thomas Williams) and train station (Jenkintown)"
"Lovely Cape Cod located in a very quiet residential neighborhood in Wyncote, Cheltenham township. The main level features a living room, dining room, an eat-in kitchen and family room with access to the large backyard. Also, on this level is a master bedroom with full bath and two additional nice size bedrooms and a full bathroom. The second level offers a large attic space ready for your personal touches to finish. 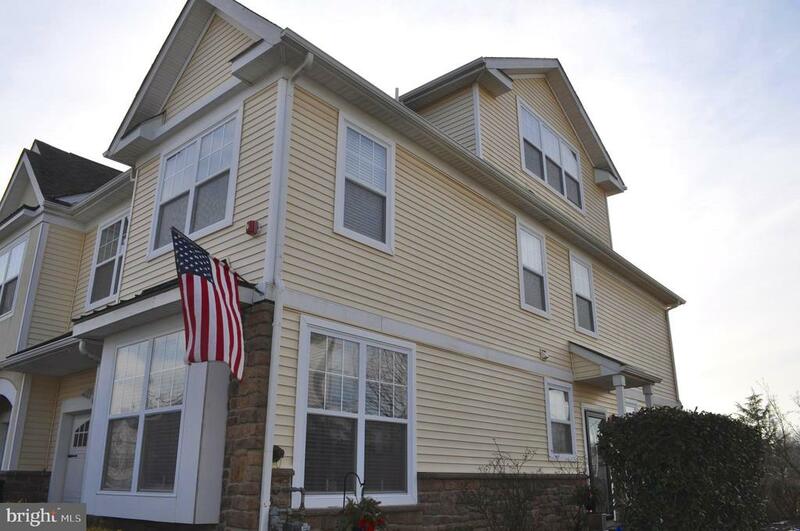 This home boasts hardwood floors throughout the main level, newer roof, newer heater, vinyl siding, and driveway. 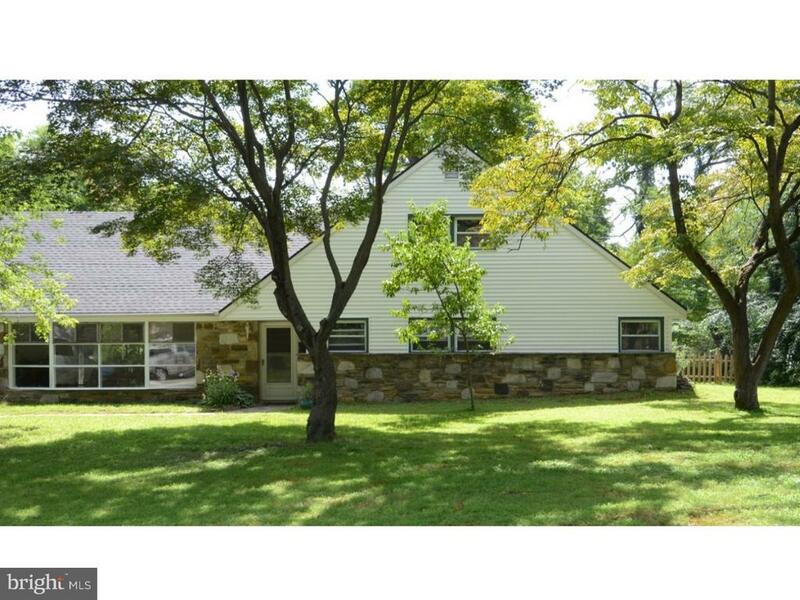 This lovely home is situated on a beautiful 0.31 acre lot. Easily accessible to many major highways and shopping. Don't miss out on this terrific value!" "Property is priced to be sold in as is condition. Seller will not repair, make improvements or cleanout. Home Inspections are okay for informational purposes only. Buyers Responsible for any and all municipal certs. Cash offers are preferred and should be accompanied by proof of funds. Seller has equitable interest in the sale of this property."